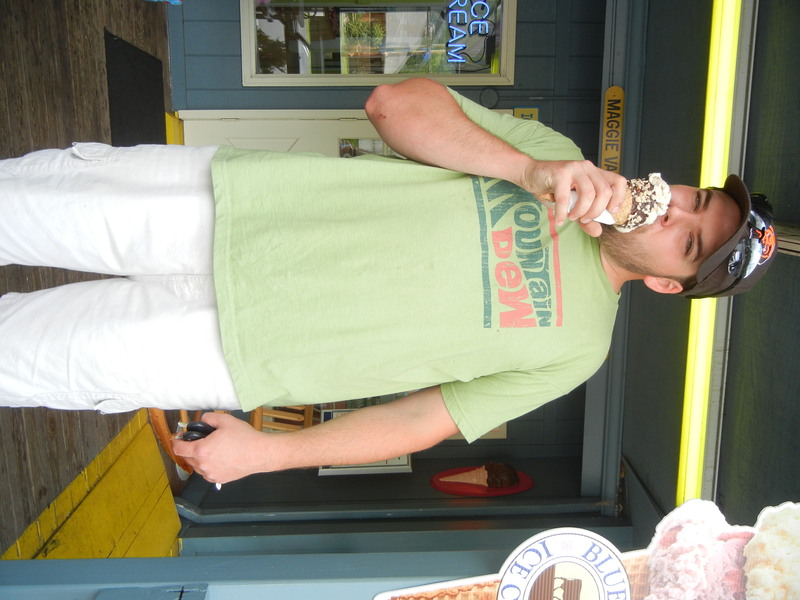 One day during our little getaway to Maggie Valley, we decided to check out the shops downtown. While we were debating where to stop first, a sign caught our eye..
We had to stop, since, ya know, it is our last name and all. Honestly, most of the stuff just looked like junk to me. 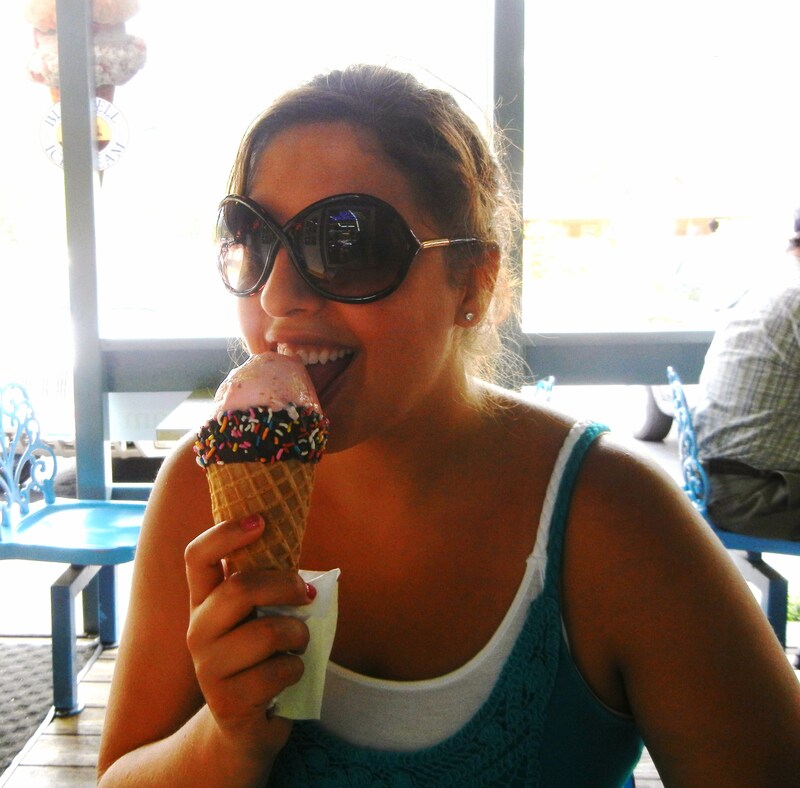 Then we happened to stumble upon a few things that I just knew wanted to come back to Ohio. 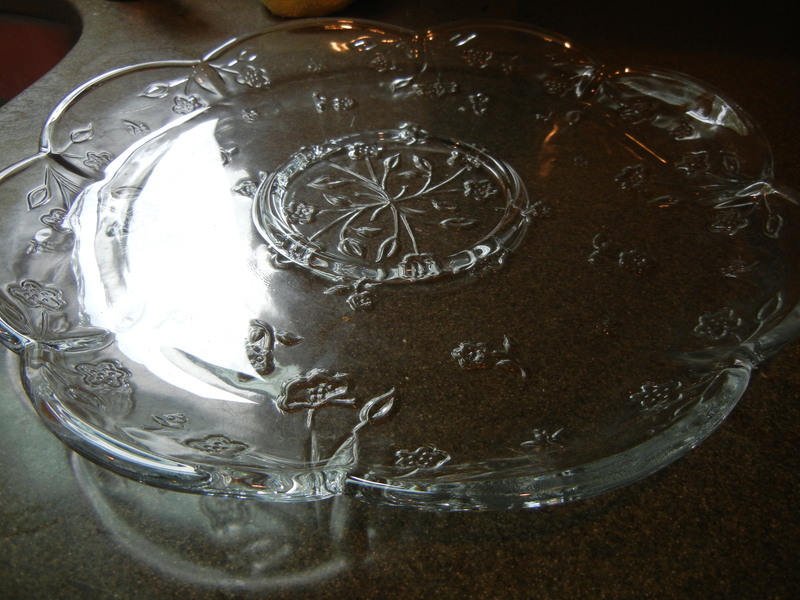 First, I found this gorgeous flowery plate. It is really heavy and you know I love anything that has daisies on it (or flowers that resemble daisies). 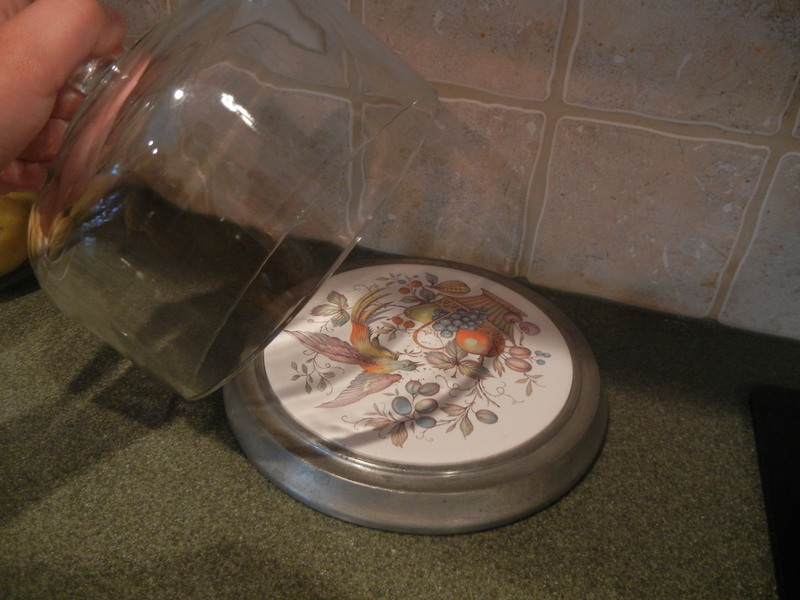 Next, I noticed this adorable little glass dome and plate set. (I know that’s not the proper name, and if you know it please enlighten me!) the pattern really isn’t my style. Actually, I hate it, but J said it would be no big deal to switch out. 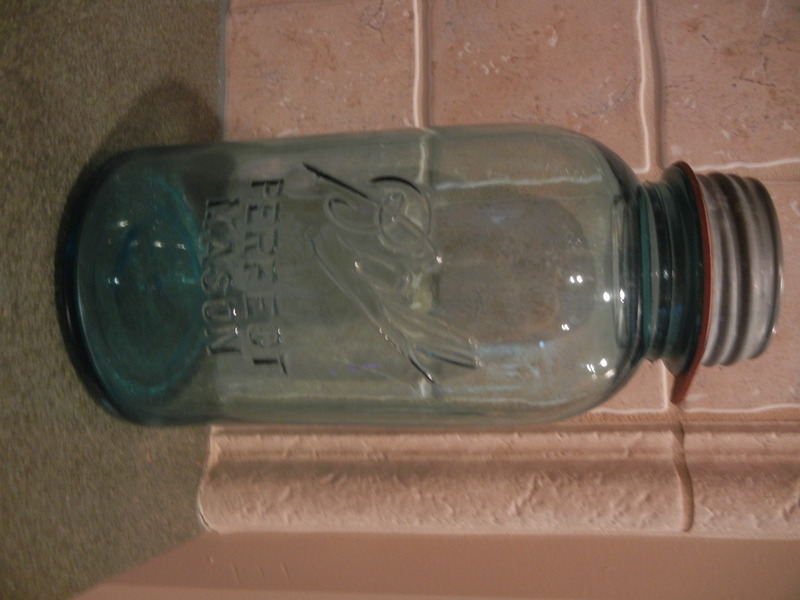 I also picked up this huge Ball jar. I love it! I think it will be great to display on the kitchen counter. I’m not sure what I’m going to fill it with just yet. Maybe sugar, or flour? Or maybe candy corn for the Fall? Just leave it empty? I think it’s a great memento of our trip to the South! 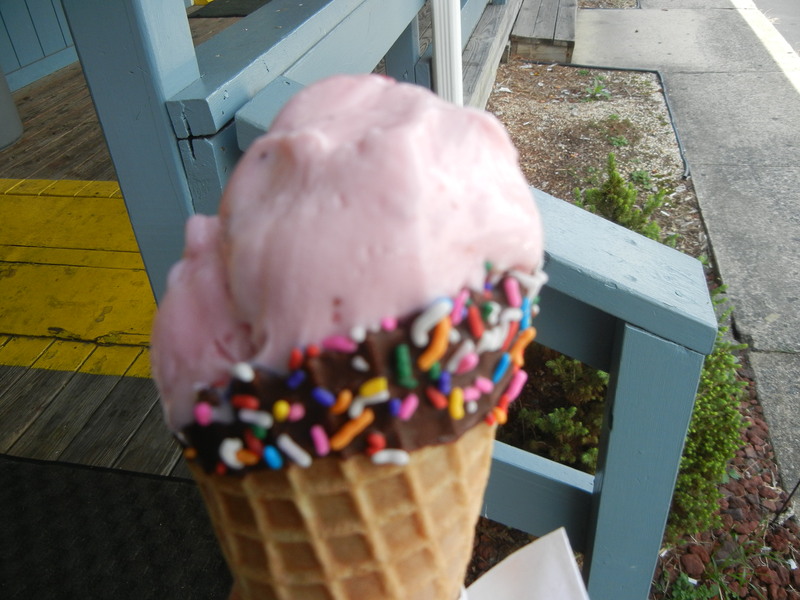 Don’t let the picture deceive you, it’s 10 inches tall! 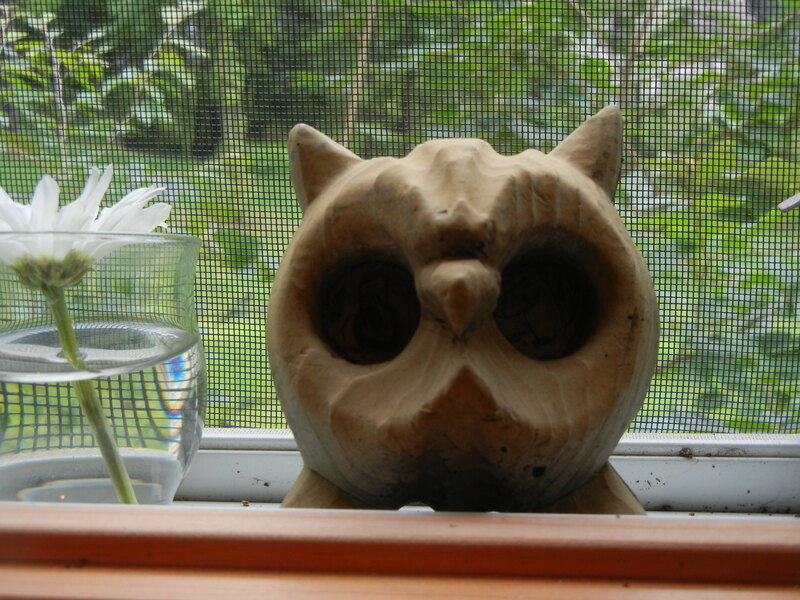 The woman wanted $25 for all 3 things, but J used a tactic from American Pickers, and asked her to include the cute little owl I had been admiring. 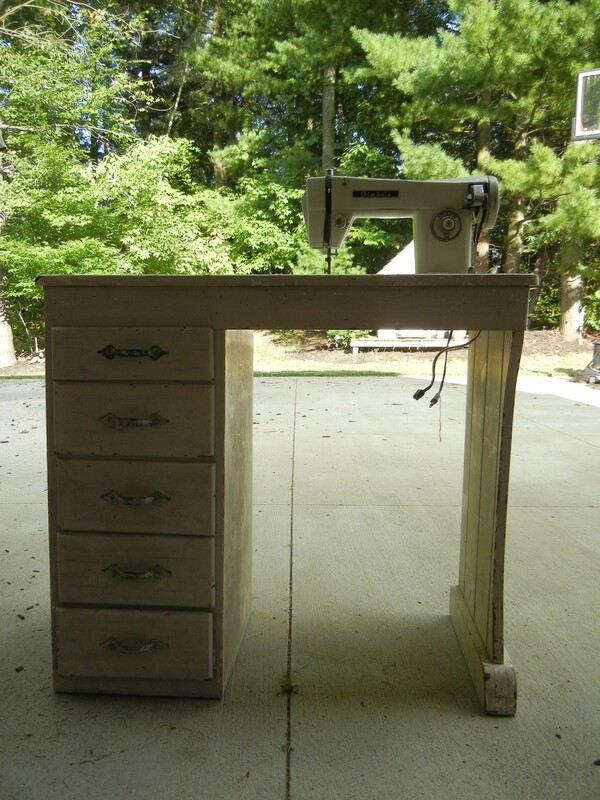 It’s a sewing table with an old sewing machine on it. I recently bought a sewing machine and this table will be perfect once it gets a bit of a facelift. 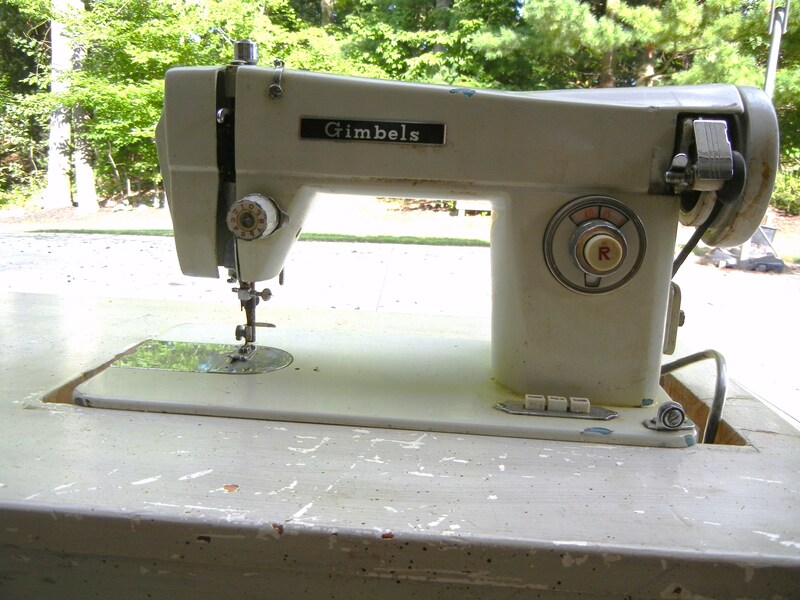 I know absolutely nothing about the sewing machine except it says “Gimbels” on the side. I might just try to sell it or maybe fix it up and display it? The table and sewing machine were only $10! It was just what we needed after a hard day hour of thrifting! I thought they would make the perfect gift for my brother who loves unique glasses. I looked at them again and decided to get 2 for myself as well. I mean, why not? 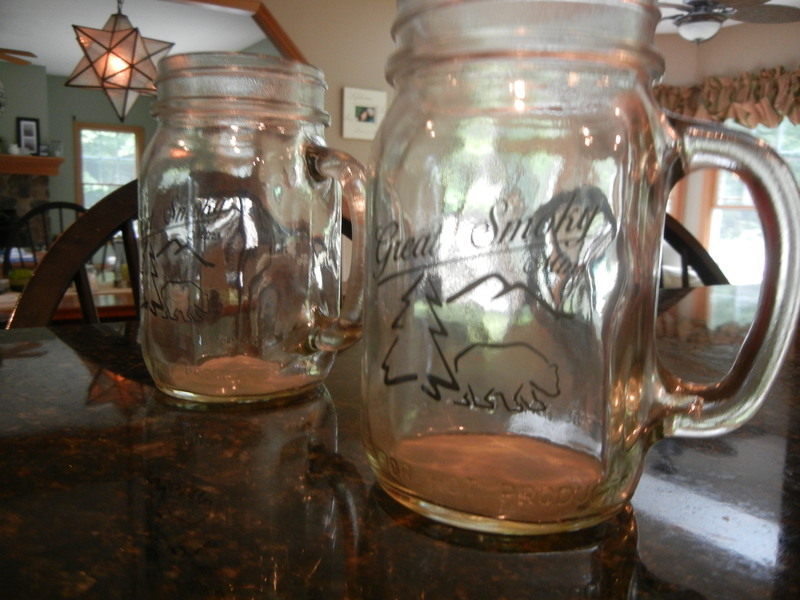 I love having an eclectic mix of things, and these would always be a reminder of our trip. 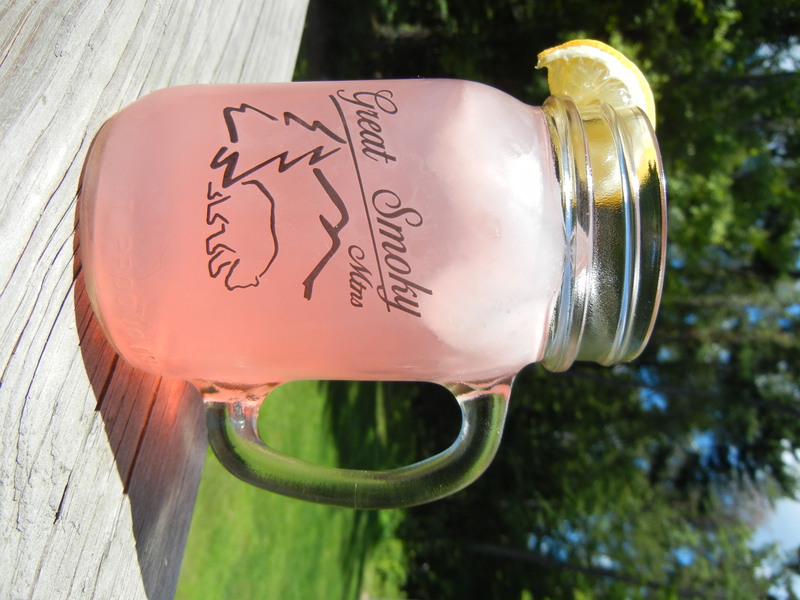 Plus, they look so country chic with pink lemonade in them! Maggie Valley had a bunch of other fun, unique and interesting shops. We spent a couple of hours going in and seeing what they all had to offer. 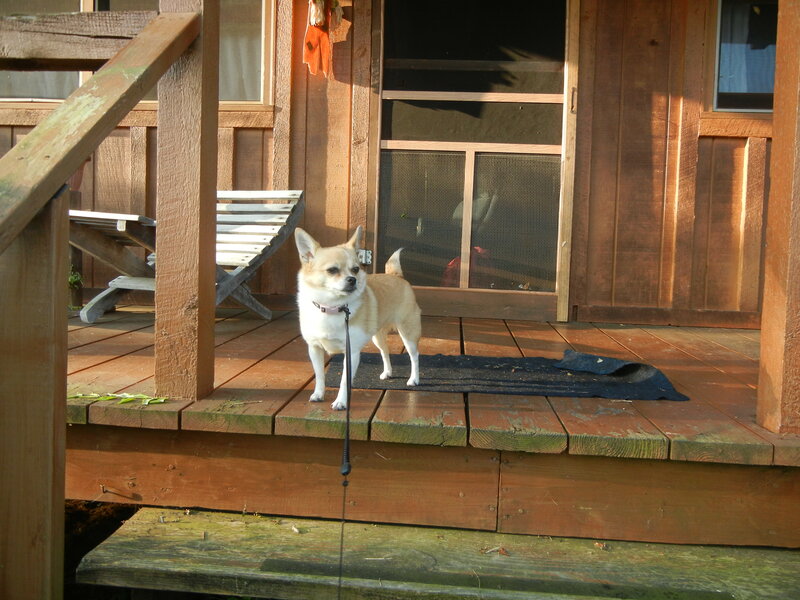 By the time we got back to the cabin, this little girl was more than happy to see us! 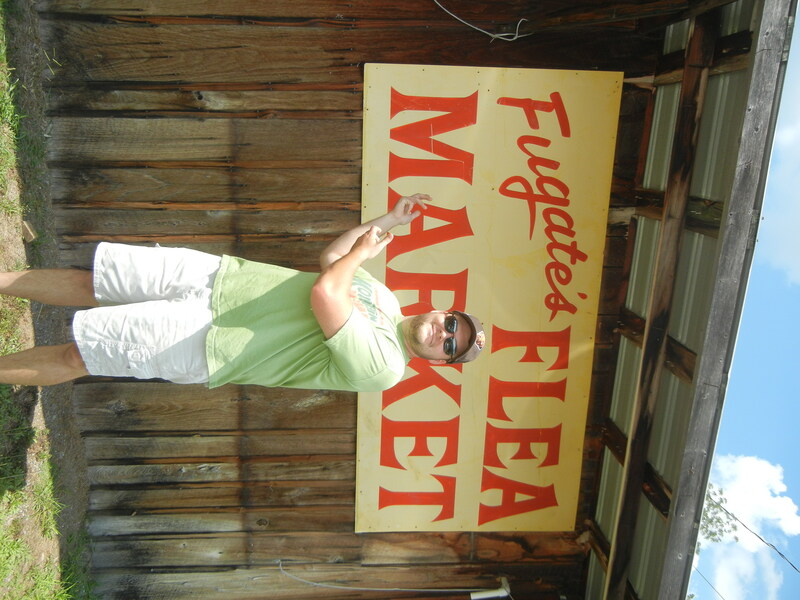 Do you go to flea markets? What have you gotten recently? 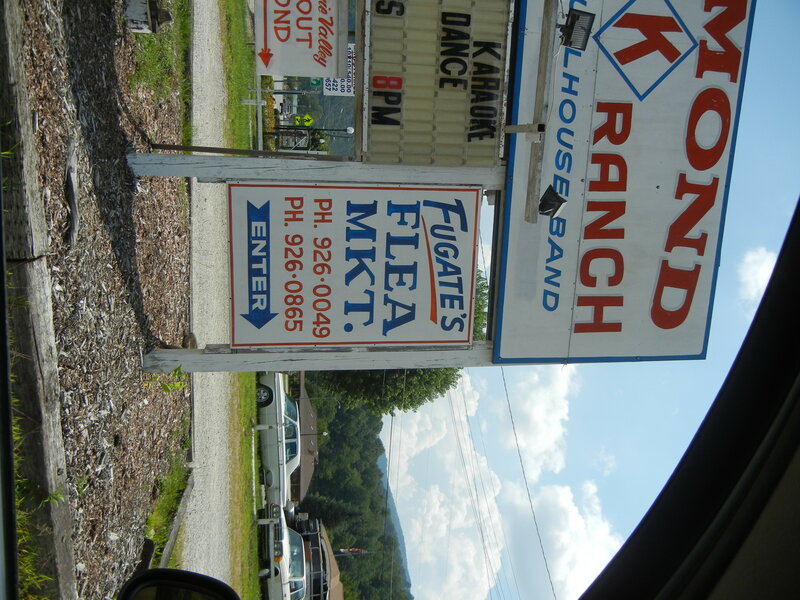 This entry was posted in A Day in the Life, decorating on a budget, Thrify, vacation and tagged ball jar, Fugate Flea Market, gimble, ice cream, Maggie Valley, north carolina, sewing table, shopping, southern flea markets, thrifting by Lauren. Bookmark the permalink.